Lighting plays a major role in the style and atmosphere of your home. Light fixtures can be relegated to the background, but, when thoughtfully selected, create the backdrop for the style of the room. Properly chosen and appropriately placed, light fixtures can define the look and function of a space. Your choice of light fixtures is a big decision whether you are building new or remodeling, and Global Sales can help. We carry several quality lines of light fixtures with an enormous selection, ranging from very standard, basic lighting to traditional looks, transitional styles, contemporary, ultra modern, and even lighting that makes a bold statement about your style. And our pricing on light fixtures is extremely competitive; it's unlikely that you will find better pricing anywhere on the internet for comparable products. Experts all agree that a properly lighted space begins with a good plan. The goal is to create even, balanced lighting that will enhance the décor of the room while providing the proper illumination for the everyday activities that will take place in specific areas. A good lighting plan will provide warmth, help with daily tasks, and highlight features of your home. It is important not to get overly bright, which will create harshness. The most effective lighting plan is one that is hardly noticed. Dimmers are a great option for multipurpose areas. Think in terms of lighting layers when choosing the light sources for a room. Ambient lighting provides soft, general illumination without glare to fill undefined areas of the room. Task lighting adds a bright light to areas where visual activity takes place. Accent lighting is used to focus attention on specific objects such as art, or architecture, to set the mood and add drama to a room. And finally, give careful consideration to the architectural style, décor, and flow of the home. Lighting, like other features such as flooring, cabinetry and wall treatments, should flow from room to room. It is best to choose a style and finish that can be carried throughout your lighting plan. An easy way to maintain a consistent style throughout is to choose a lighting family- a specific style that is available in many formats such as chandeliers, sconces, pendants, ceiling fans, and so on. Global Sales has a great selection of light fixtures at even better prices. 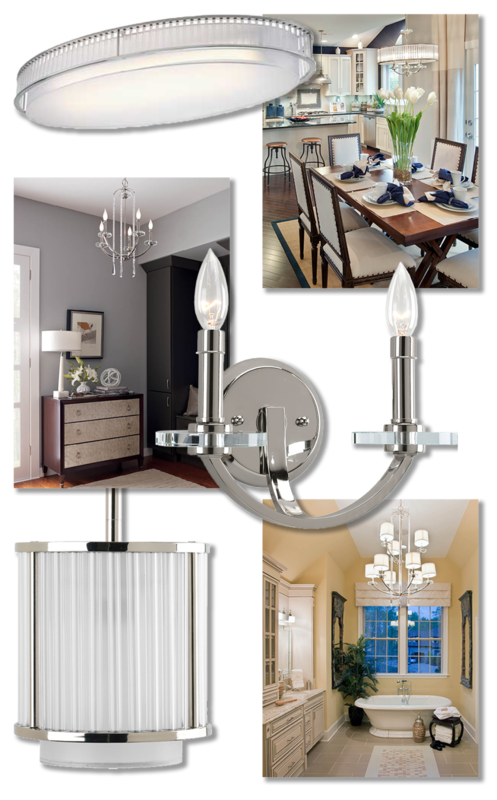 Charlie Erkens offers some helpful tips for choosing the best fixtures for your home. Global Sales offers a huge assortment of both indoor and outdoor lighting. Because of our exceptional relationships with several manufacturers of high-quality lighting, we are able to offer pricing that's better than just about any you will find online. Take a look, get some ideas, and contact us to help you develop a lighting plan that's perfect for your space. 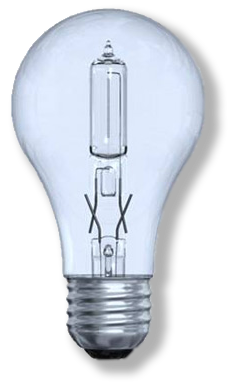 Halogen bulbs function similarly to the old incandescent bulbs with a filament. They are the least expensive of the non-incandescent bulbs, with a similar energy profile. CFL, or compact fluorescent light, bulbs use fluorescent gas that lights up when exposed to electricity. 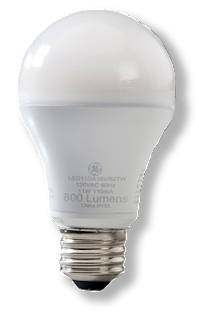 CFLs use about 70% less energy that incandescent bulbs, although they take a moment to warm up and reach full brightness. CFLs produce extremely bright light that spreads evenly, and they cost a little less than LED bulbs. CFLs cannot be used with a dimmer switch. LED- light-emitting diode- bulbs use a series of semiconductors as a light source, often with a diffuser to make the multiple dots of light generated by the individual diodes look softer. LED lights don't heat up at all, and can last up to five times longer than CFL light bulbs. They are available in adjustable colors, and some can be used with dimmer switches. LED bulbs are the most expensive up front, but offer the greatest value and energy-efficiency in the long run. Kelvin- a scale for the color of the light. The lower the number, the warmer the light. The Kelvin scale typically runs from 2,500K for the warmest color up to 6,000 for the coolest. Wattage- a measure of how much energy a bulb uses. A lower wattage means that a bulb uses less electricity, but is not longer necessarily an indication of brightness with the newer CFL and LED bulbs. Now lumens are the gauge for brightness. Lumens- measure the brightness of the bulb. For example, a typical living room may require about 1,500 - 3,000 lumens for lighting. In addition to light fixtures for residential use, Global Sales offers a full line of commercial lighting, as well as lighting and electrical supplies including wire, boxes, cover plates, switches, light bulbs, etc. 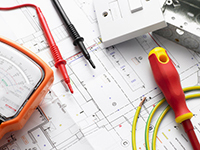 Contact us today if you would like more information, or if we can help with your next project.